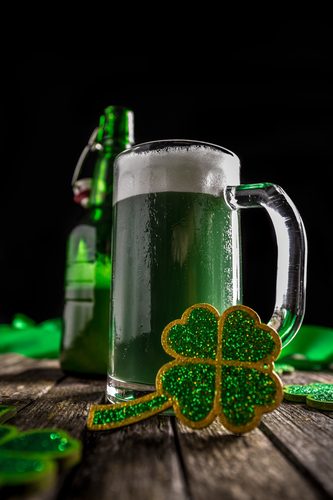 St. Patrick’s Day is celebrated nationally in the U.S. with fun and festivities but its cultural and religious roots should not be forgotten. St. Patrick’s Day is observed on the 17th of March and honors Irish heritage and culture. It is celebrated with food, drinks and all things green. This weekend join in the festivities at these local restaurants and pubs around South Orange. St. James Gate Publick House: This upbeat Irish pub will host a festive St. Patrick’s Day events on March 17th. The cozy restaurant will open at 8:00 AM where you can enjoy a Guinness, Irish whiskey, a special menu, and live Irish music in the afternoon. O’Reilly’s Bar & Grill: Celebrate the Irish at this relaxed neighborhood bar and grill. Bring a group and enjoy their traditional bar fare and drinks while shooting a game of pool or watching a game on their big screen TVs. Gaslight Bar & Grill: If you are a beer lover then this is the place to celebrate! Stay right in town and check out the only brewpub in Essex county. This family owned brewpub makes its own beer & serves familiar pub food in a relaxed, sports-bar like setting. Egan’s Saloon – This family owned gastropub is brought to you by the Egan’s of Montclair, New Jersey and Dublin, Ireland. Doesn’t get more authentic than that! They are known for their fish and chips, bangers and mash and of course they have Guinness on tap!